Tiger Woods. Lance Armstrong. Ryan Braun. We know what they have in common: scripted apologies to the public. Ryan Braun issued his last week and Jason Gay of the Wall Street Journal brilliantly dissected it. “Almost all of these “apologies” are terrible, seemingly lawyered to the limit, muddied with vague language and half-truths,” Gay wrote. Be murky with details about the transgression. Act like this all happened 2,000 years ago. Say it’s been hard for you, too. Find a co-signer who says you are doing the right thing. Act like it’s weird anyone would be upset. The right steps, the ones that can truly rehabilitate an image, maybe even the individual, were identified in another Journal article, this one by John Kador, author of the business book “Effective Apology: Mending Fences, Building Bridges, and Restoring Trust.” He critiqued Lance Armstrong’s apology on Oprah’s show. Recognition: State the specific offenses for which you are apologizing. Responsibility: Accept full responsibility for the offenses. No excuses. Restitution: Identify concrete steps you will take to reverse some of the damage inflicted. Repetition: Reassure victims that you will not repeat the offending behavior. That’s right, when the truth is incontrovertible, blame the media. Do companies still need to be on the 6 o’clock news? Two tech firms are delving further into the news business, creating an opportunity for any corporation to reach its audience. On July 16, Yahoo! 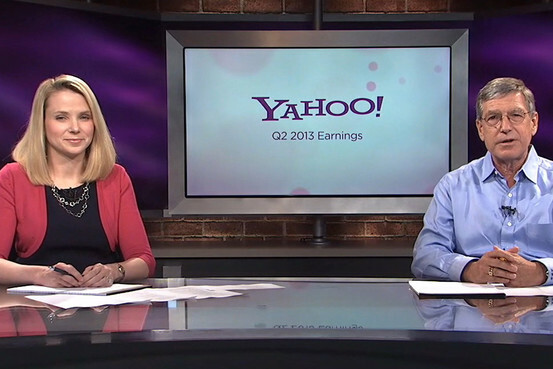 released its earnings over the Web from a news studio at company headquarters. On July 22, Netflix’s CEO and CFO logged in for a video chat on second-quarter earnings. In the old, old media model, analysts and reporters gathered in a room to listen to the numbers and ask questions of corporate executives. They migrated to conference calls that, after regulators insisted, were opened to the public. Business news networks joined the game, which has now moved to the Web. Netflix generates revenue by streaming content, so it is seems appropriate that it does the rest of its business there. Direct, unfiltered communication with investors, customers, suppliers and employees. No more talking heads getting in the way of a CEO’s message. No jockeying for air time on news networks. Earnings might be announced before or after the bell, but not when a network says it can seat the CEO in its studio. Direct interaction with a broad audience. A CNBC newscaster and a financial analyst moderated the Nextflix video chat; they prepared questions from the public. The ability to reach a younger audience that is accustomed to digesting information via the Web. For companies interested in gaining attention and having more control over how their information is disseminated, this is an excellent opportunity. Studios can be rented and the technology to live stream is inexpensive. Can something go wrong? Of course. Just as it can on any live, aired event, whether it be in a TV newsroom or a conference call. What’s the next step? Talk to a public relations person who understands how to use online technology. And start practicing in front of a camera. TV isn’t as easy as it looks. Category: Public Relations · Tags: earnings, Marissa Meyer, Netflix, Ottolenghi Media, Palm Beach, Palm Beach Gardens, pr-prof, pr-professor, webcast, Yahoo! Spokespersons play an important role in communicating with news media. They distribute official statements and deliver answers to reporter queries. Sometimes they don’t talk, usually at the direction of their bosses or their bosses’ bosses. The news story: Hackers infiltrate New York Times computer system and over three months install 45 pieces of custom malware. The Symantec antivirus software that the Times uses detects and quarantines the malware only once. The response: “A Symantec spokesman said that, as a matter of policy, the company does not comment on its customers.” — New York Times, Jan. 30, 2013. The news story: Yahoo cancels its work-at-home policy, in essence ordering all employees to work in offfices. The memo is quoted from and its author identified by name. The news story: Moody’s Investors Service privately settles a federal lawsuit brought by 14 plaintiffs. They had claimed the the rating company misled them by inflating credit ratings on money-losing investments. Content distributors and advertisers are using data that measure viewership intensity to determine who is watching TV programs, when, how and just how much those viewers care about the programming. That could change the way advertising is purchased. A recent article in the Wall Street Journal about rights fees for TV sports programming described viewership intensity as a way for cable providers to evaluate whether they were paying the right amount to carry a cable channel. What is viewership intensity? Cubs and Red Sox fans have remained faithful TV watchers, despite decades of heartbreaks. Nebraskans tune into Cornhusker football games everywhere, even through mall PA systems. Miami Heat fans flocked to Fox Sports Florida, giving some games during the 2012-2013 season higher local ratings than network TV shows. AT&T uses set-top box data to measure just how long and how often people watch shows. At the Nomura Global Media Summit, Jeff Weber, president of content and advertising sales for AT&T, said that his company measures a channel’s value based on viewership intensity. The same logic applies for advertisers. If viewership intensity is low, then ad dollars are wasted based on the number of channel subscribers or ratings. Likewise, if intensity is high, then the buy is a good value, even if the price is above-market based on traditional measures. Tucked into an excellent article in today’s Wall Street Journal about rights fees for TV sports programming were a few paragraphs about new ways to measure viewer interest. The change in metrics has great implications for public relations professionals and their clients. The traditional view of sports is ratings. ESPN and ESPN2 are kings, and they receive about $5.71 a month per subscriber, according to SNL Kagan, a media research firm. When the Houston Astros and Rockets formed a sports network in October, they asked cable and satellite TV networks for $3.40 a month. AT&T and DirecTV balked. AT&T based its response on data from set-top boxes that tracks when customers tune into home games, against which opponents, and for how long people watch. The NSA has nothing on that company. What increases engagement? Advertising falls short; it’s best at branding, top-of-mind awareness, and getting people to try a new or repositioned product or service. Heavy advertising can boost TV ratings, but it cannot sustain them. Public relations is much better suited to the task. An ad can introduce a player to fans, but engagement happens in person or online. With 9.1 million followers, LeBron James can reach more fans with one Tweet than through an ad on a South Florida TV sports channel. Public relations generates engagement through social media, in-person events, and many-to-many communication. Think fan fairs, online chats, and social TV. Programming revenue becomes based not on how many households are hooked up but on how they interact with a team. An old media model dies and a newone is born — again. Next: What’s viewership intensity and how does it translate into revenue?